Christmas is fast approaching, and before you know it, the jingle of Santa’s sleigh bells will be on our doorsteps. 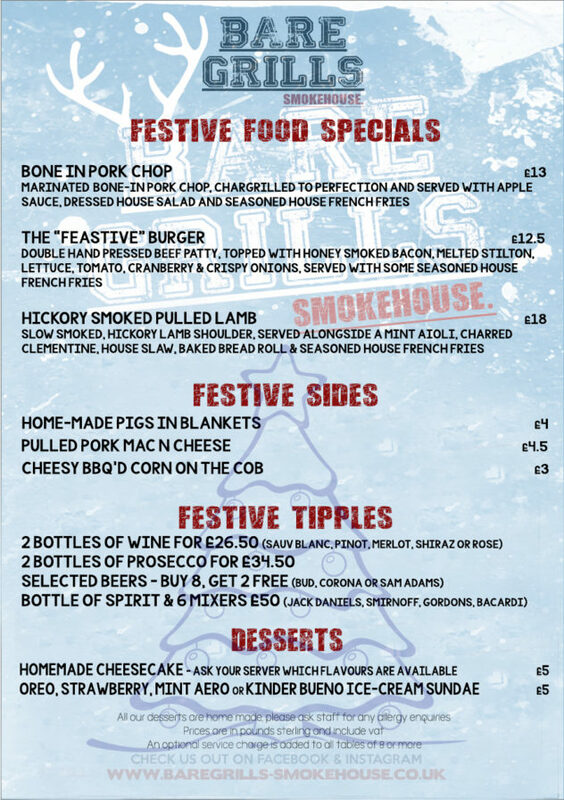 Here at Bare Grills, we don’t do a traditional Christmas menu, preferring to offer up our usual burgers, steaks and smoked meats, with the addition of a few festive themed specials. You won’t find any Brussel sprouts in this smokehouse! You can use the contact form below to check availability, and one of the team will be in touch to discuss your requirements. Please note, that this is an enquiry form, and that no booking will be secured until we have spoken to you to confirm your booking. For group bookings (7+ people), we do require a £10 per person deposit to secure the booking, which must be paid 2 weeks in advance. Given that it is a busy time of year, we need to be notified of any changes to numbers 24 hours in advance, else we might not be able to accommodate everyone. 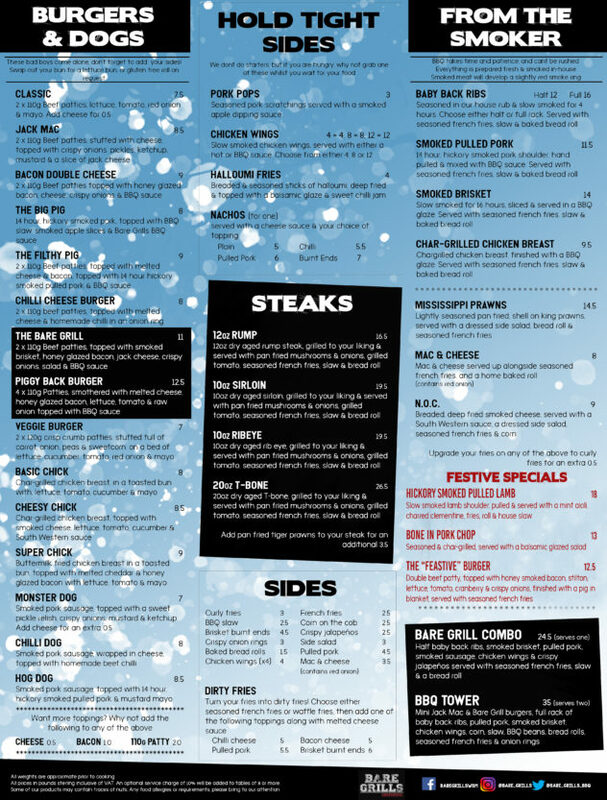 "The best dang burger joint in the UK"